Even though Aso Rock had earlier expressed reservations repeatedly for United States to continually deny visa to Atiku, but for fair, equity and justice, the State Department had permitted the United States Embassy in Nigeria to issue visa to PDP Presidential candidate. Rattled by the heroic hospitality and germane discussions Atiku’s delegate, accompanied by Nigeria’s Senate President, Bukola Saraki may have with top American government agencies, Lai Mohammed, Nigeria’s Minister of Information & Culture, had spurned a surprise by alleging Atiku has answers to give to the nation’s security operatives on how he allegedly made a fund withdrawal of N156million which led to the collapse of Bank PHB. Atiku had arrived Washington DC with an entourage of PDP big wigs and lodged into Trump International Hotel few days ago. His entourage was treated to a pomp reception on arrival by Nigerian community and scores of African-American communities who had come to take a glimpse at the face of this Nigerian billionaire making waves, causing discomfort and nightmares for Buhari’s administration. Without wasting much time, later that day, Atiku’s delegates met with top American lawmakers at Capitol Hill where issues of ‘Safety, Free, Fair Elections’ were exhaustively discussed, including Atiku’s Blue-print for Nigerian economic and how he plans to empower women and youths in his administration. Also, he was warmly received at the Voice of America (VOA) by their editorial team where he answered flurry of questions on ‘Nigeria State of the Nation.’ Furthermore, his team a day after had a town meeting with Nigerian community in DC, where the former Vice-president assured them of how he will make life more meaningful for every average Nigerian. Just three hours ago, Atiku again met with PDP members resident in Washington DC, where he assured the Nigerians that time for genuine change has come and it is now. He explained that he is bringing in pragmatic economic policies and drive that will forever transform Nigeria and impact positively the masses. 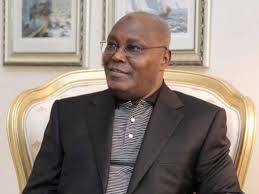 Sensing Atiku is already a ‘bride of the Western nations’ and may have been endorsed informally by the International community, the Buhari administration felt the need to punch holes in his credibility by bringing to the fore an accusation of corruption allegedly involving Atiku which led to the collapse of BankPHB. The Minister of Information and Culture, Alhaji Lai Mohammed, who briefed State House correspondents on Friday in Abuja, said Atiku would need to offer explanations to Nigerians once he returned from his trip to the US. Mohammed recalled that he advised the US government against issuing visa to Abubakar, he later agreed that it was the prerogative of the US government to issue visa to anyone it deems fit. His words: “Let me say right away we are not perturbed one bit that Alhaji Atiku Abukakar was able to secure visa to the US; as a matter of fact, he can go ahead and get the US Green Card. That will not save him from imminent defeat in the forthcoming election. I want to remind Abubakar that the elections will be right here in Nigeria and not in the US. Mohammed alleged that the document which is in his possession started from an internal memo on Jan. 13, 2009, which reads, “please refer for discussion your requested overdraft in favour of Atiku Abubakar for N156 million and deliver same to me. In response to the alleged arrest, Kola Ologbondiyan, Director, Media & Publicity PDP Director, Media & Publicity, PDP Presidential Campaign Organization said: the Peoples Democratic Party Presidential Campaign Organization (PPCO) describes as laughable, President Muhammadu Buhari’s heinous plot to frame the PDP Presidential Candidate, Atiku Abubakar, out of fear that he is already coasting to victory in the February 16 Presidential election. 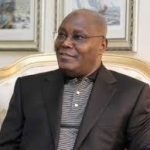 His words: “While we understand that President Buhari and his dysfunctional All Progressives Congress (APC) are jittery over Atiku Abubakar’s soaring popularity ahead of the elections, it is reprehensible that Mr. President fabricate outright lies and falsehood in a bid to discredent will descend abysmally low to a more qualified and acceptable Presidential candidate.